Collecting records of the wild flora of Britain is almost entirely done by volunteers. It is possible to contribute in many ways, for instance by conducting surveys of particular sites or perhaps around your neighborhood; by reporting unusual finds; or by helping to computerize data. You don’t need to be an expert, as long as you enjoy it and have some interest in learning. It is easy to contribute records to the flora of the North-east. You can either post or e-mail them to the county recorders or you can submit them over the Internet using the BSBI’s online recording system. 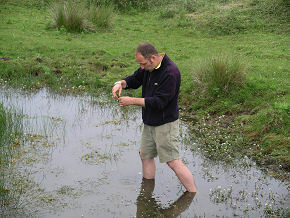 We are interested in all kinds of records, of rare and common plants, of single species and of site surveys. Even a list of weed in your garden would be of value. Recording cards can be downloaded and printed out to help with your surveys. There are a few simple guidelines for submitting records, which can be summarised as "What, When, Who and Where". What ­ Try to identify the plant as accurately as possible. If you are in doubt and if it is plentiful, make a pressed specimen so that it can be identified by an expert. When ­ Record the date it was found. Who ­ Note who found the plant and who identified it. Where ­ Specify the location as accurately as possible, including both a grid reference and the name of the location. Once submitted your records may be shared with the local record centre and with the Botanical Society of Britain and Ireland. They will use your records for conservation and scientific study of the North-east's Flora. The maps on the website will also be updated regularly so you will be able to see them. This website is a volunteer effort and we don’t make any money from other people records. There are many old records of our historic flora which rarely see the light of day. They exist in journals and on record cards, but nowhere all together. We would like to computerise these records to make use of them. If you are interested in helping, please contact your vice county recorder who can advise you on how to proceed. We would also be interested if you have records on paper, but don’t know how to computerise them. Although not related directly to the flora of north-east England. You are encouraged to help in the Herbaria United project. This website lets volunteers computerise details of Herbarium sheets from several important collections and is playing an important role in releasing the data held in these collections to wider use. 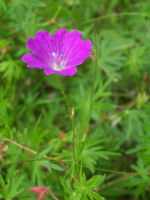 Hundreds of volunteers have contributed records of the flora over the years, however a few deserve particular mention. Each of these recorders has contributed over 20,000 records. Professor George A. Swan, who wrote the Flora of Northumberland. The Reverend G. G. Graham, who wrote The Flora and Vegetation of County Durham. John Liam Durkin, vice county recorder for County Durham. The work is never finished. Our flora is changing and we must continue to monitor it. This constant observation ensures rare plants and habitats are protected and it also gives us a clear picture of what needs protection and how.